Through the mandated purchase of Renewable Energy Certificates (RECs), Connecticut utilities financially support biomass plants by purchasing the “renewable” portion of their renewable power. For over a decade, Connecticut has been an essential market for RECs, providing revenue that keeps the plants operating and chips coming in by the truckload. However, Connecticut has decided to use its RPS to support the development of “new, zero-carbon resources in New England.” One way to do that is to push out biomass, or at least make less of it eligible for RECs. When 1 megawatt hour (MWh) of electricity is generated, one REC is issued, which can be sold to utilities that use it to show that they purchased renewable electricity. Connecticut’s new plan over the next decade plus is to phase down biomass and landfill gas. Once a plant has been participating in the Connecticut RPS for a certain period of time – 20 years for new facilities, 15 years for existing facilities – only half of the RECs generated at a facility will be eligible for participation in Connecticut’s RPS. These limits will start impacting some facilities as early as 2020; others won’t see a reduction in eligibility until 2034. Plants in the region will still be able to sell the other half of their RECs into other state markets, but how that will play out is still a huge unknown. In reality, Massachusetts and Connecticut are the big REC markets in the region, and Massachusetts no longer allows participation by stand-alone biomass plants. That leaves smaller states—often with smaller and less robust RPS programs—as the alternative markets for half of the RECs that a plant generates. The good news is that this won’t happen all at once; a slow phase-down to half of a facility’s generation that is eligible for participation in the Connecticut RPS is planned. In theory, such a change gives states with biomass plants that have relied upon these markets—notably New Hampshire and Maine—time to develop policies that support continued biomass generation, if they so choose. Both of these states have taken steps to support existing biomass markets in the past few years, but this support is temporary. Something longer-term is necessary if biomass electricity is to be a large part of the region’s forest economy in coming years. 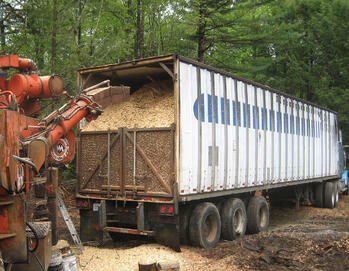 In New England, one-fifth to one-third of the total volume of timber harvested annually is used as biomass. As other markets for low-grade wood (notably pulp mills) have been reduced or disappeared altogether, the biomass market has become increasingly important for loggers and landowners. As a renewable resource that requires the constant purchase of new fuel, biomass provides ongoing economic impacts to the forest supply chain (and beyond) that other renewables like wind and solar do not. 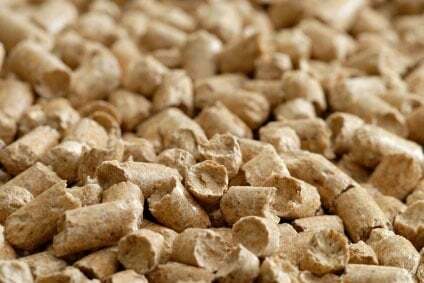 Connecticut’s decision to begin phasing out its support of biomass presents a real challenge for the industry moving forward. However, for states that rely on biomass as an important part of their respective forest industries, it also provides time to consider next steps.